December 30, 2013 branding, segmentation, social media#socialmedia mitch joel, joseph jaffe, Procter and Gamble, The Art of ShavingRandi Priluck, Ph.D. I have been listening to some recent podcasts suggesting that traditional media is dead. Mitch Joel’s Twist Image Podcast recently hosted the authors of Z.E.R.O, Joseph Jaffe and Maarten Albarda, who advocate for zero paid media as a conversion model. At the moment most major brands disagree with the strategy because traditional media is still delivering. For example, I noticed a subway car before the holidays filled with transit ads for something called the Art of Shaving. The ads were somewhat cryptic to me because I was not familiar with the brand. Since I teach advertising I decided to go to the site to learn about the brand because I could tell from the quality of the copy and art that it was professional grade. The Art of a Shaving was a Procter & Gamble site selling shaving kits as gifts. The brand also has retail locations. Clearly P&G thinks there is some value to traditional advertising, but I have two criticisms of the ads. First, I was likely one of very few people who actually took the time to go to the site after having viewed the campaign on the subway. As such, P&G would have benefitted from a more obvious execution, though the ads did deliver a brand identification. Second the target was off. The ads only discussed shaving for men and did not indicate that a woman should check out the site. Women are a great target for buying men’s shaving items as gifts. The Art of Shaving did one thing right. They used traditional media to generate interest in the brand and drive potential page views or retail visits. Transit ads are often forgotten in the social media world, but people still commute to work and ads on the subway have a captive audience. With all the clutter in social media and the small likelihood that content will go viral, marketers still need traditional media to drive response. As time goes by and more and more content appears in social media traditional ad executions and multiple impressions will be important to get people to pay attention. The old hierarchy of effects model from the advertising literature that suggests people need 7 exposures to a message before responding still has value as a concept. The big question with social media is how to get the content into the hands of those who might benefit from it. Can you rely on your followers to do that for you? An established brand with many loyal followers who are active creators and critics might expect people to share a very interesting piece of content. However, sharing content depends on the individual’s motive to appear intelligent to others and provide their friends useful information. Relatively few pieces of marketer generated content meet those criteria. As such brands have to use traditional media to get some attention where they can control the message. The media planning process is so much more complicated when you have many new outlets, but still must consider the old ones. Welcome to the traditional, online, social media, mobile world. It is only going to become more complicated as mobile grows. December 9, 2013 branding, social media, social media metricsadvertising equivalency, CPM, Marketing spend, ROIRandi Priluck, Ph.D. There is a lot of concern among marketers as to how to measure the results of a campaign and equate the returns from social media to those of traditional executions. Most importantly brands should consider the return on investment for a strategy, also known as ROI. This metric can only be measured with a form of currency, such as dollars and requires that a brand determine the costs associated with a strategy and the profits from the execution, both in dollars. Marketers are wary of using ROI to determine the success of social media because of the difficulty in quantifying both returns and costs. They tend to rely on intermediate metrics, such as ‘likes’ and ‘followers’ because they can easily tie those individuals to a particular platform. Since social media has high human resource costs marketers need more tools at their disposal for measurement and analysis. One option is to compare the cost of a social media strategy to the cost of strategies in other forms of media. Comparing media costs is sometimes called media equivalency or media equivalents. This analysis has a bad reputation because PR firms have used it to multiply the influence of their campaigns. However, the tool can be really useful for social media. To do a media equivalency analysis the marketer has to make one big assumption. That an impression is an impression regardless of the medium. If a person sees a posting on Facebook it is equivalent to viewing a television ad. This is obviously not completely true, because each medium has its advantages and disadvantages. For instance, while television has beautiful graphics, Facebook has the opportunity for engagement. Though the effects may be different audiences see these forms of media with a brand identification. In fact, most forms of media deliver some kind of brand-related impression (unless the message is subliminal) and this concept can be used to equate media to determine their comparative impact. The analysis requires that the marketer determine reach and costs for each medium on a cost per thousand basis. By using cost per thousand (CPM) the marketer can equate costs and determine which strategy is more expensive relative to how many people viewed the message. Is this method perfect? No, but it is useful for understanding your marketing spend. Can You Believe Yelp Reviews? December 4, 2013 UncategorizedRandi Priluck, Ph.D.
Have you ever written a review of a restaurant? Who is writing all these reviews anyway? Review sites attempt to judge which reviews are real and which reviews are fakes. 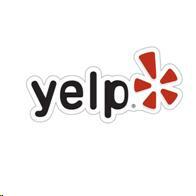 Yelp reports that it removes about 20% of reviews from it site because the site suspects they are frauds. The company admits that it likely eliminates some real reviews, but prefers to err on the conservative side. Were the sole reviews written on a particular user’s account. Came from many accounts on one computer. Differed from most other reviews of the business. This photo was taken in December 2012 when students in my social media and mobile marketing course presented to the team from Aden & Anais, the baby products company specializing in swaddles. At center is Randi Priluck with Raegan Moya Jones, Kate Fisher and Deidre Drewes from Aden & Anais. December 2, 2013 social mediadigital courses, education, marketing, masters degree in marketing, social mediaRandi Priluck, Ph.D.
Marketing faculty members in business schools learned advertising and media under the old advertising model focused on creating and delivering messages to potential customers in a mass media environment. Yes, there was direct mail and it was very effective for reaching specific targets, but it was rarely the focus of a university advertising course. In the late 1990’s and into the new millennium the web changed the way marketers taught aspects of marketing such as distribution and display advertising. With the advent of search marketing professors had to again alter their teaching to include key words and pay-per-click executions. With social media and mobile penetration the advertising world has changed again. Digital advertising now commands the second highest level of ad spending in the US and the rules for advertising have also changed. Marketing faculty should not just add a discussion of digital advertising into their courses because for many brands digital is THE primary medium for communications. To teach digital, social media and mobile advertising effectively, professors have to approach the task with a new skill set. The good news for business school faculty is that the business aspects of advertising are still key and can be used as a guide for mastering the new platforms. Marketing professors should continue to teach integrated marketing communications strategy. Lessons can focus on segmenting markets, setting strong and measurable goals and creating messages that can be delivered to targets to achieve business objectives. 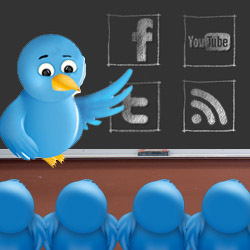 Professors should not be teaching how to tweet, post, retweet, follow or pin. Students already know how to do those things. Instead faculty should teach the strategies for customer engagement, driving sales, reducing costs and building brands.